The new spell checker makes it easier to track down misspellings and thus simplifies the creation of worksheets even more. It detect simple misspelled words. A grammar checking, e.g. regarding case sensitivity at the start of a sentence, is not included. 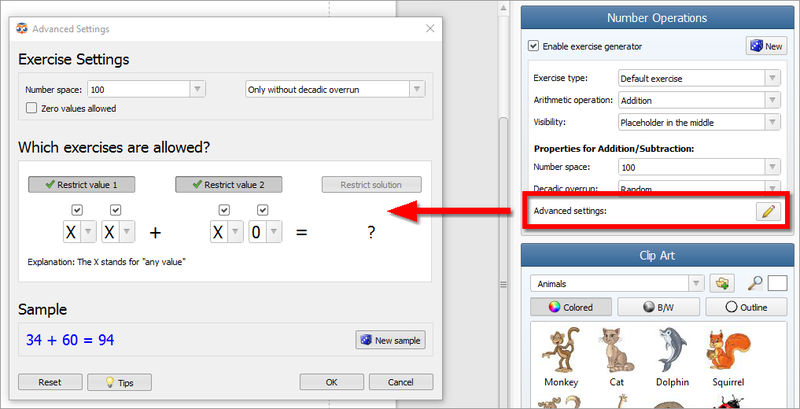 For each exercise the value the number of digits and the allowed digit values can now be limited. Each digit can either have an arbitrary value (represented as an X) or a fixed (represented via the digit value). With this flexible system you can now easily create exercises such as Add hundreds to tens only or Complete to the value of 100. In the new generator we greatly improved the possibilities for specifying the valid overruns (addition) and undercuts (subtraction). You can now specify all three overruns separately and thus combine them as you require. The overrun logic has been refined so that e.g. 12+15 is not treated as ten-overrun anymore. Plus, you can now accurately tell Worksheet Crafter whether your exercise must or must not have an overrun. With Worksheet Crafter 2017.1 you can now create worksheets for the iPad. Exporting your worksheet to the iPad is done with a few simple clicks. 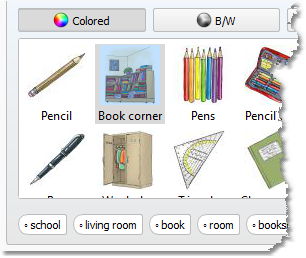 The worksheets can then be solved interactively by your students, using our new Worksheet Go! app for iPads. Worksheet Go! provides extensive possibilities to adjust the experience to the capabilities of each single student. Please note that Worksheet Go! is available in German language only so far. Please contact us if you’d like to see Worksheet Go! in English language as well. The current version already supports many math templates on the iPad as long as the exercise generator is enabled. The numbering item now supports ongoing numberings across multiple pages and remembers the previously used size.